The Surface phone is dead, long live the Surface device? The future of Windows phones...might not be phones? Rumors and hopes for a category-defining Surface phone were not satisfied at Microsoft's press event last Wednesday. The company didn’t even mention Windows 10 Mobile. With the collective market share of Windows phones stagnant at about 1 percent, customers and partners have to wonder why anyone should bother investing in Microsoft’s mobile strategy. In an interview with ZDnet’s Mary Jo Foley, Microsoft executive vice president of Windows and Devices Terry Myerson was asked just that. But instead of committing wholeheartedly to Windows phones—or declaring that product line dead—Myerson tried a different tack: obscurity. Terry Myerson, the Executive Vice President of Microsoft’s Windows and Devices Group, speaks at a company event in New York City on October 26, 2016. The word Myerson did not use, of course, is “phones,” leading some to speculate that any forthcoming Surface “phone” would instead be a tablet—perhaps an ARM-based tablet, perhaps one with cellular connectivity, but not a phone. To recap: Existing Windows phones run on ARM processors from Qualcomm and others, using Windows 10 Mobile. 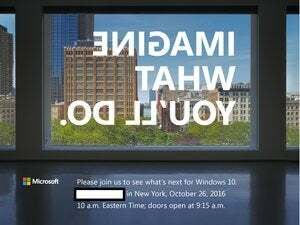 Windows tablets do not. At one point, of course, they did: The original Surface ran on Windows RT, a version of Windows designed for ARM chips. 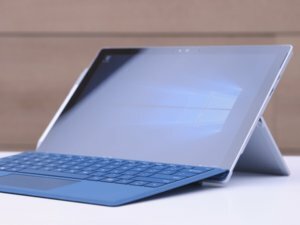 But consumers soundly rejected the Windows RT tablets, and Microsoft reportedly scrapped a smaller “Surface Mini” that may or may not have run Surface RT. Instead, Microsoft doubled down on the Surface Pro 3, which went on to become the Windows tablet that helped define Surface and Windows tablets in general. Microsoft encouraged development on what it saw to be a more successful implementation of Windows 10 running on top of ARM: Windows phones. 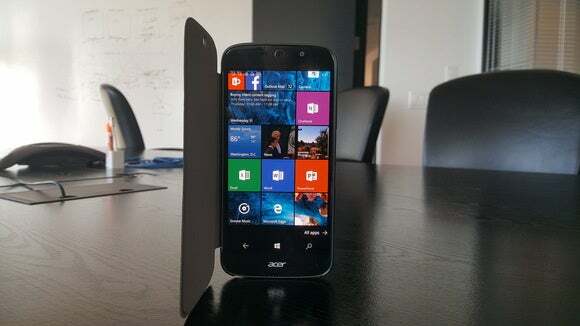 Currently we have a pair of Windows 10 flagship phones, each manufactured by Microsoft PC partners: the Acer Liquid Jade Primo and the HP Elite x3. But Microsoft appears ready to flip-flop again. Some observers are probably wondering why it’s more difficult for Microsoft to halt development of Windows 10 Mobile than its own Lumia hardware, or why ARM and cellular connectivity are considered to be differentiating features for Microsoft alone—and not, you know, every phone ever made. Why didn’t Myerson highlight Continuum, Microsoft’s phone-as-PC argument? Or virtualized Win32 apps, as HP’s Workspace uses? He’s a straightforward man, though, so it’s most likely he’s simply answering the question in the way Microsoft is now framing the problem. Give Myerson a little credit, though. How often are smartphones used for talking? As screen sizes balloon, phones are evolving more into data-driven messaging and computing devices than simple squawk boxes. No one believes that the cratering of Microsoft’s phone business was all part of some master plan to usher in the next big thing. But the door’s still open for something interesting to emerge from Microsoft’s mobile business. If Myerson’s to be believed, however, it may not be a phone.